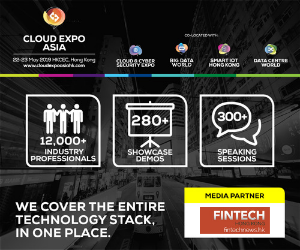 In Hong Kong, the government has encouraged fintech and insurtech innovation, which it believes will be a key enabler in designing better and more efficient work processes and new business models that will deliver higher growth, cost savings and better services for industry participants. 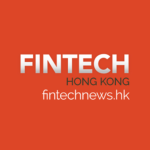 In a report released in October, Baker and McKenzie points out that although Hong Kong is still a relatively nascent, emerging fintech and insurtech hub when compared to most established players such as London and New York, recent government initiatives and increased marketing have helped raised awareness of fintech and insurtech. In 2015, the Hong Kong government launched the Steering Group on Financial Technologies to examine the city’s potential as a key fintech and insurtech hub, and in the 2016/2017 Budget, it confirmed it would adopt most of the recommendations made by the Steering Committee in its most recent report. 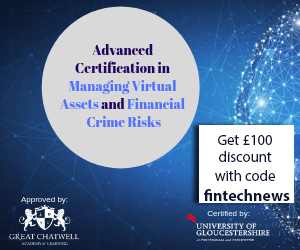 Regulators have supported fintech and insurtech in different ways including in funding with the introduction of an Enterprise Support Scheme under the Innovation and Technology Fund to encourage and private sector investment and research and development activities. Funding up to HK$10 million for each approved project would be provided on a matching basis, with no requirement for recoupment of the approved grant. 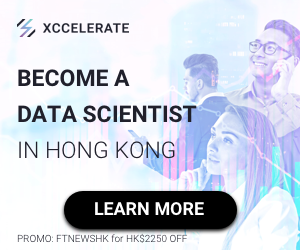 Together with other similar funding schemes by the government, a pool of about HK$5 billion is available for ventures and research projects in various technology areas including fintech and insurtech, according to Baker and McKenzie. 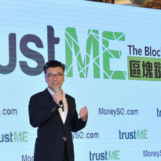 The government support also takes the form of dedicated fintech and insurtech platforms, launched notably by the Office of the Commissioner of Insurance (OCI), the Hong Kong Monetary Authority (HKMA) and the Securities and Futures Commission of Hong Kong (SFC), to help enhance communication between regulators and the startup community. These platforms handle inquiries from the industry and provide information on related regulatory requirements to companies engaging in financial innovation. They also keep track of the latest development in the market through their exchange with the industry. Additionally, the HKFI has recently set up a Task Force on Financial Technology Hub, which is exploring how to work with the government to promote innovation in the insurance industry, including attracting capital and talent. In Hong Kong, some insurers such as have introduced wearable devices and mobile apps, which are used to track fitness activities of policyholders of life and health insurance products. Using such analytics, insurers can offer premium discounts to the policyholders based on their level of physical activities, so as to encourage them to exercise regularly. 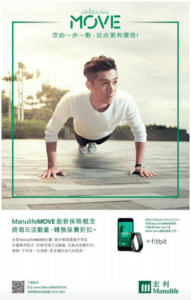 For instance, Manulife Asia unveiled in September 2015 its ManulifeMOVE concept for Hong Kong consumers. The program rewards customers for being healthier and more active by offering discounted premiums and works with a fitness tracker and a mobile app. A report from Innovix Distribution into the Hong Kong wearables market found that 70% of Hong Kong consumers own wearables. The top reasons for purchasing wearables devices include the convenience of connecting with smartphones, pursuing fashion trends, health condition monitoring and fitness trackers, the survey found. Most particularly, health-related wearables are in high demand among Hong Kong consumers with over 52% stating that they are likely or very likely to use wearable products during exercise. In the near future, Baker and McKenzie expects to see more insurance companies seeking to acquire or team up with non-insurance tech players such as new digital insurance startups or telematics-related companies in order to deliver new offerings and better price risk, extend the value chain and have greater overall efficiency. However, the emergence of insurtech also brings a number of concerns for established players and new entrants, including dealing with data privacy, cybersecurity, the wide variations in regulatory approach to insurtech, and securing talent and developing and securing skills and knowledge, the firm said. Featured image: Hong Kong skyscrapers, via Unsplash.